Kia Ora, My name is Griffin Leonard. 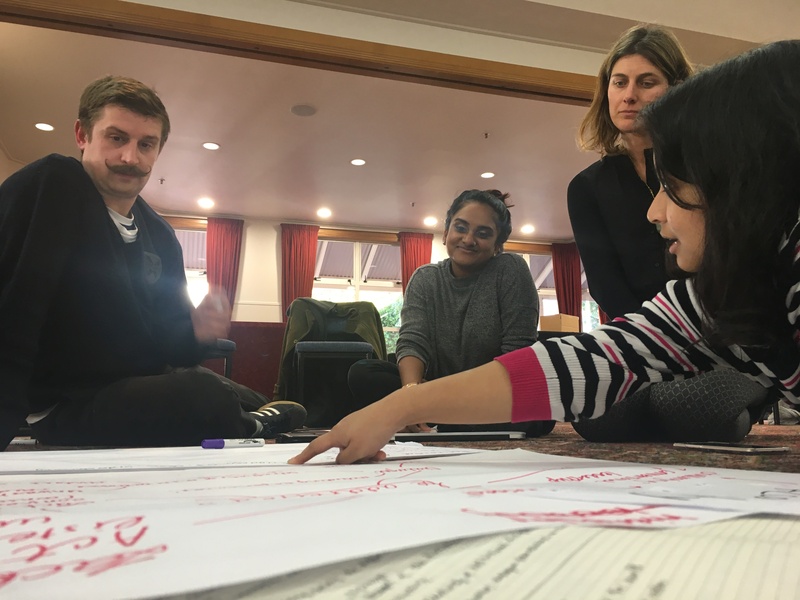 I am one of the student delegates who represented the University of Otago at the recent 2018 Global Citizenship Forum, which focused on community engagement. I am very pleased to have been a part of the Forum. The theme of community engagement is an important one for our Network and its seven members. The seven partners all play a significant role in their respective communities. Each institution educates and employs many members of their community, and conducts research on matters concerning community members. Community engagement is integral to creating a harmonious relationship between the Universities and their neighbours. The question is how to ensure that this engagement is maximally beneficial for all parties. The university as community: Our institutions are communities themselves. How can we facilitate meaningful and productive dialogue between students, academic staff and management regarding the aims we have for our institutions, and our roles within them? Informal student engagement in local communities: Students are not only members of a university community but also the broader community(ies) in which our universities are situated. How can students become more engaged in these communities through, for example, volunteering? How might our institutions facilitate this? Institutionalised inclusion of global citizenship and community engagement within educational offerings: How might global citizenship and community engagement be included in the curricula of our universities? Relating to points one and two, how might students and the broader community itself be empowered to contribute to these developments? The establishment of educational offerings at, or between, Network partners that deal with matters of community engagement, sustainable development and global citizenship. The need for student-led and community-led initiatives was emphasised. An example of these proposals was the establishments of a massive open online course (MOOC) that all Network partners would have the opportunity to contribute to. Greater student exchange between Network partners. Greater institutionalisation of the Network’s presence at each member university. Empowered student contributions to the Network should be institutionalised at each member university and with the Network governance structure itself. I look forward to working with friends and colleagues from the Forum on all of these matters. All in all the Forum organisers succeeded in establishing what is the most important feature of any such event: An atmosphere in which the attendees could enjoy each other’s company and speak candidly about topics that concern us all. I would like to reiterate my thanks for being able to attend. I am currently in the final weeks of my PhD studies. This final stretch is often a pressurised time, largely committed to the finer details of one’s own research. The Forum re-invigorated my passion for education and provided a great sense of how academic institutions can most effectively contribute to the needs of communities and societies.